Natural selection is the ability to reproduce fertile offspring. To be "fit" will survive and pass down their traits. 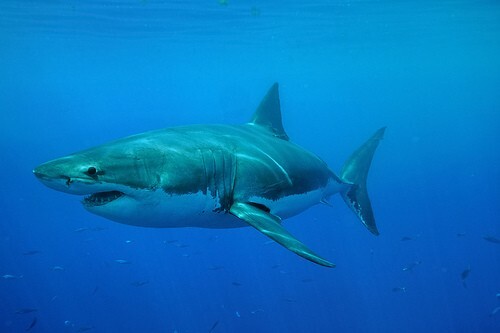 Sharks are an example of natural selection because their colors camouflage. Their bottom (belly or just underneath them) they are white, because the white is blending with the light coming through the water from above. Their top half is grey or blue because it blends in the water color, so if someone was looking into the water , they wouldn't see the shark. 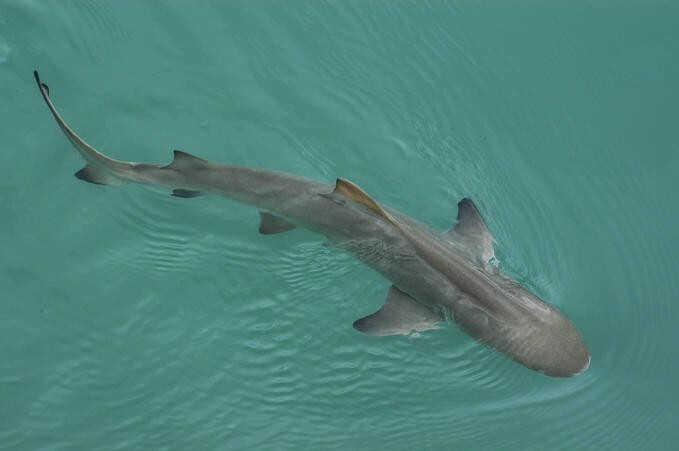 Over time we will see more sharks that are one color because a shark that is one color has a harder time to eat because what their prey can see them. Being "selected" or selected "out"
The environment determines who or what is "selected". If they were all one color or even a different color that would cause sharks to be selected "out". 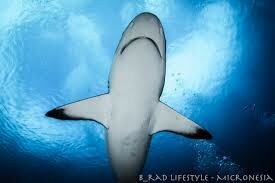 Sharks colors are meant to be camouflage for when they want to get food or to even not being seen by a person.